Over the past two months, there have been no fewer than 14 incidents connected to knife crime and violent incidents involving teenagers across Preston. Here the Post looks at a timeline of knife crime in the city since February 28. March 22: More than 30 people are stopped and searched by police in the Callon, Fishwick and Deepdale areas of Preston after a section 60 order is authorised. March 18: A 16-year-old boy is arrested after he allegedly threatened to kill a 16-year-old pupil at Christ the King High School in Preston. March 16: Police seize two knives, an imitation firearm, drugs paraphernalia and mixing agents whilst carrying out ‘proactive checks’ in Preston. 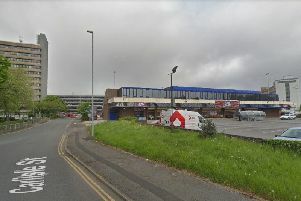 March 10: Seven teenage boys are arrested in connection with a ‘targeted’ knife attack in Ribbleton, Preston. March 8: A 17-year-old boy is stabbed in a targeted attack in Ribbleton, Preston. March 4: Four teens from Preston are charged after a man is chased near Cardinal Newman College and threatened with a knife and a baseball bat. February 28: An 18-year-old man is abducted at knifepoint in Walton Avenue, Penwortham, before being stabbed in the face and dumped at Roman Way Industrial Estate in Preston.